Hey, y'all! 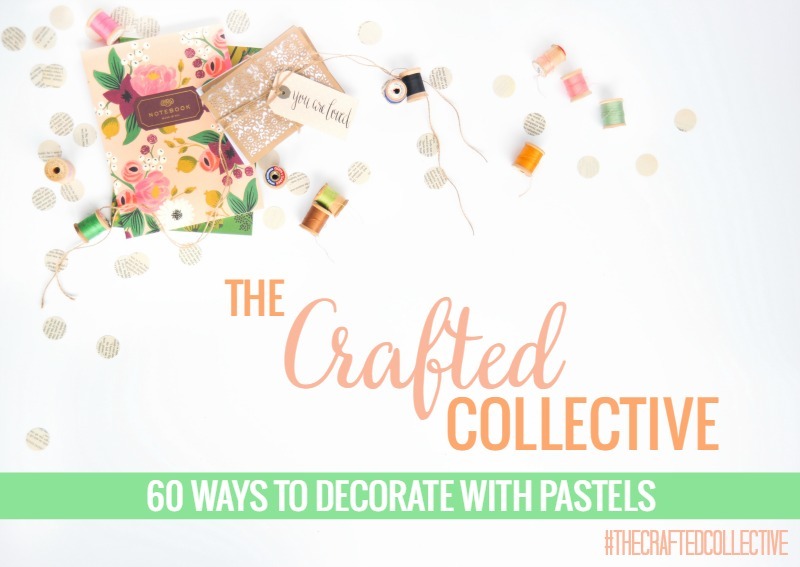 I'm so excited to be starting a brand new weekly series called The Crafted Collective! Every Friday, Kirsten from Sweet Tea and Saving Grace, Kara from Happy Go Lucky, Emily from The Benson Street, and myself will be sharing a round up of fifteen inspiring projects and ideas centered around a specific theme. 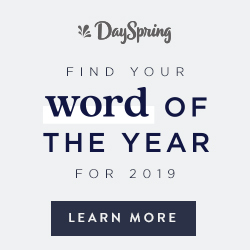 Collectively, that's SIXTY projects and ideas that are sure to inspire you. This week, we're sharing 60 Ways to Decorate with Pastels. Decorating with pastels is very popular during spring and summer, but I love to use pastels all year long. I've gathered some of my favorite pastel projects and rooms from around the web to give you some ideas of how to use pastels in your own home. 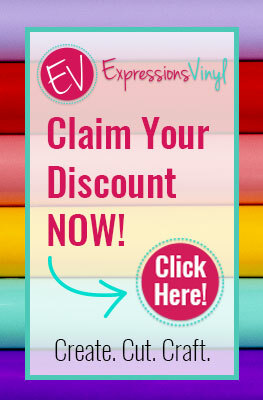 A great way to start introducing pastels into your decor is through small home decor accessories. 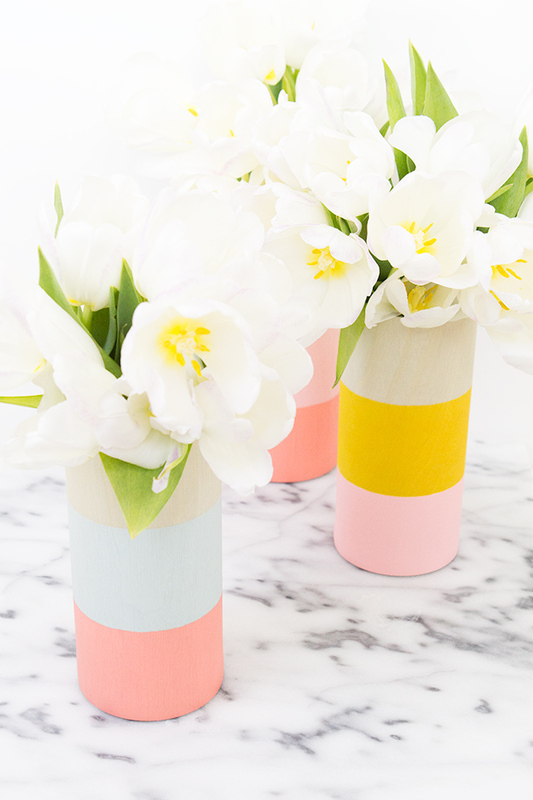 If you're crafty, these beautiful DIY Color Blocked Wood Vases from Sarah Hearts are the perfect project. 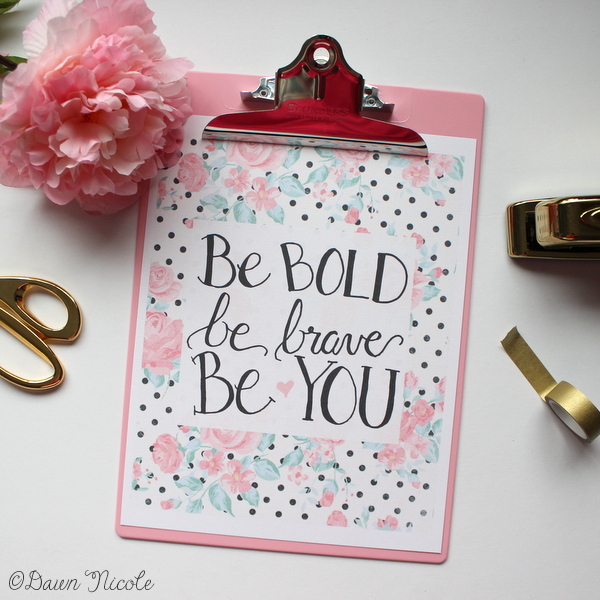 If you're short on time and craftiness, you can opt for something like this free "Be Bold, Be Brave, Be You" Print from Dawn Nicole Blog. 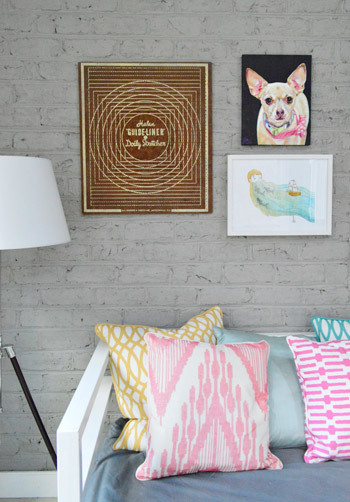 Wall art is another great way to add little "pops" of pastel to your decor. This Summer Washi Tape Art from The Crafted Sparrow is easy to make, and you could personalize it by using any word or phrase that's special to you. 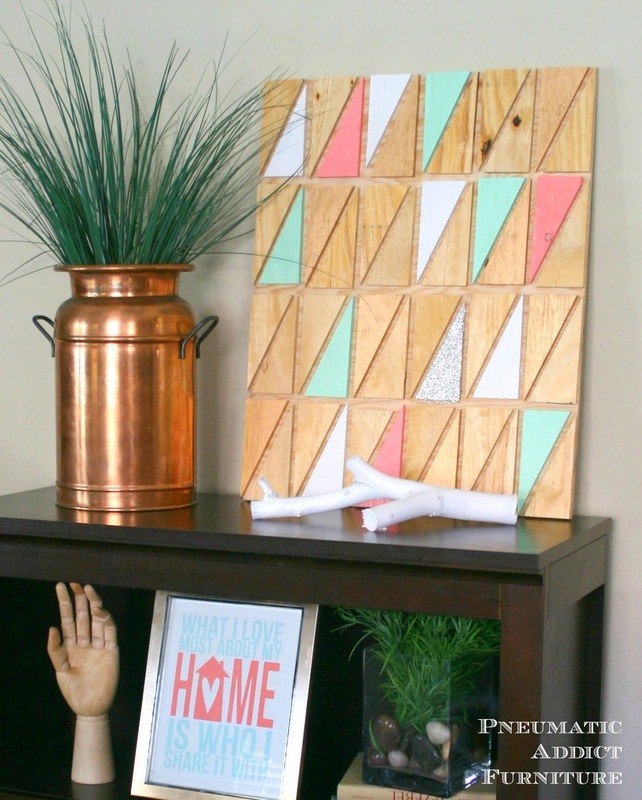 If you're comfortable with power tools or know someone who is, you could add this Easy Geometric Wall Art from Pneumatic Addict to your home. The natural wood paired with the pastels in this piece keep this art from being too feminine, and it could work in any room. 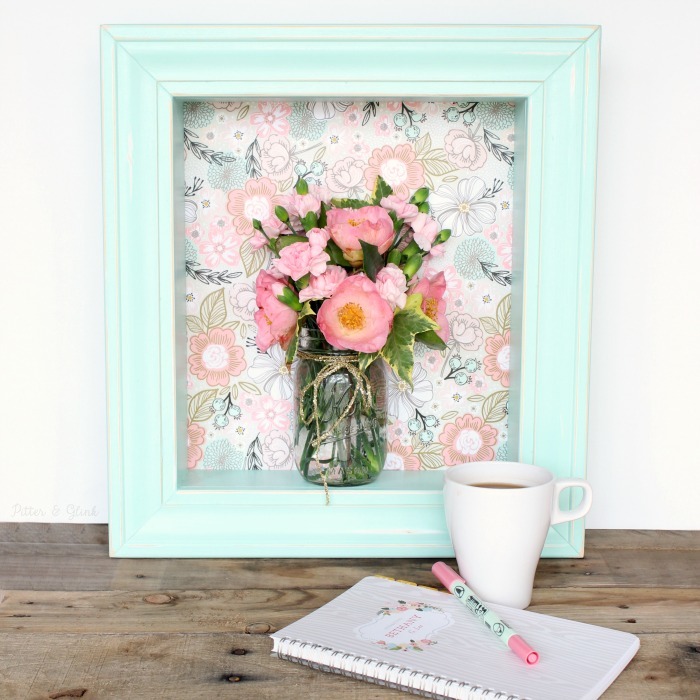 Or make yourself a pretty DIY Pastel Floral Shadowbox like I did. 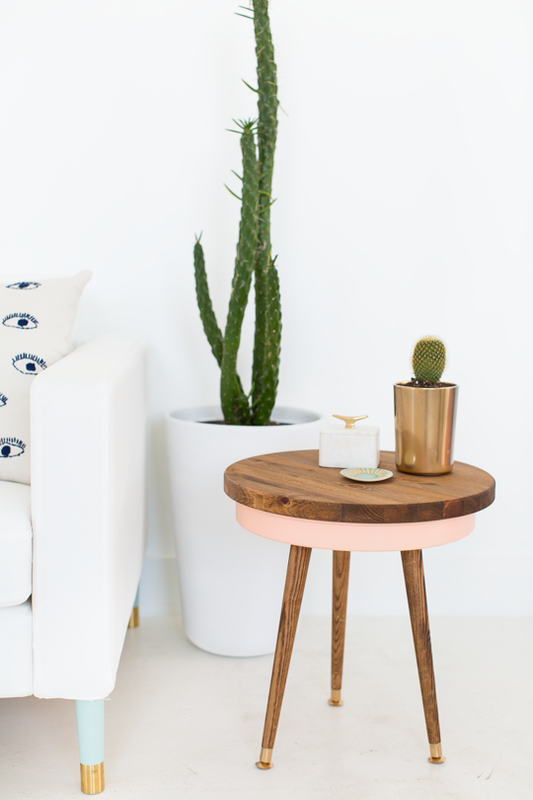 If you are willing to commit a bit more to pastels, how about a piece of pastel furniture like this DIY Mid Centry Side Table from Sugar & Cloth? 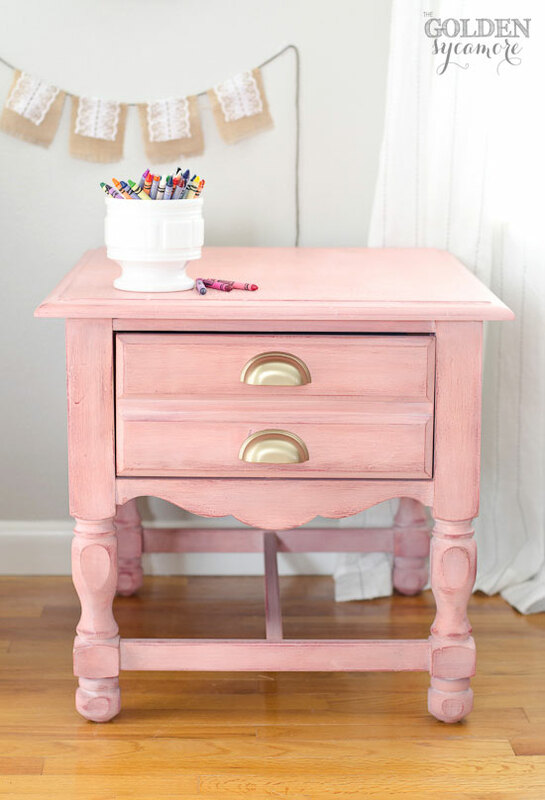 Or makeover a worn out thrift store piece with a pretty pastel paint like Golden Sycamore did with this Nightstand Side Table. 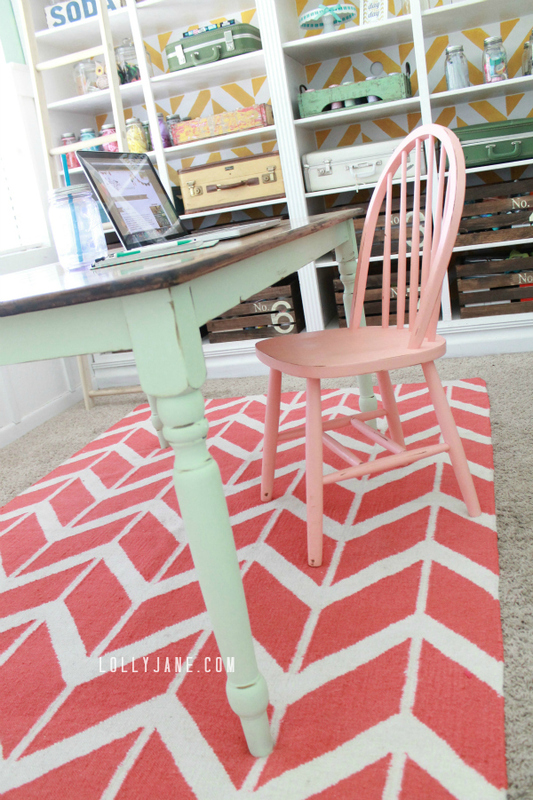 Or back a bookcase with pastel fabric or paper like Just a Girl and Her Blog did in her Office Makeover Reveal. If you're feeling really brave, you could makeover a table and chairs with pastels like Lolly Jane did with their Mint Farmhouse Table. 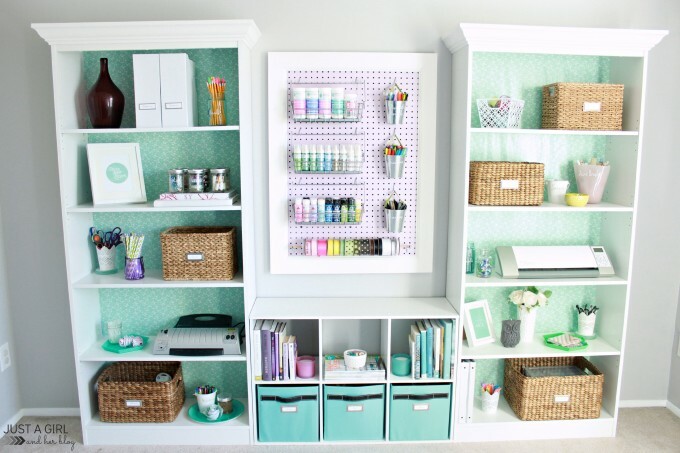 Don't the pieces look perfect in this FABULOUS craft room?! Of course, you don't have to limit yourself to one piece of pastel furniture. This pretty pastel chair and t.v. console look so great in this pic from Classy Clutter's DIY Coat Closet Makeover. A pop of pastel in a closet? Genuis! If you'd rather not commit to pastel paint on a piece of furniture, pillows are an easy way to change up your decor in a less permanent way. The pastels in these pillows and art from Young House Love's Sunroom Art post look great together, and can be changed at any time. 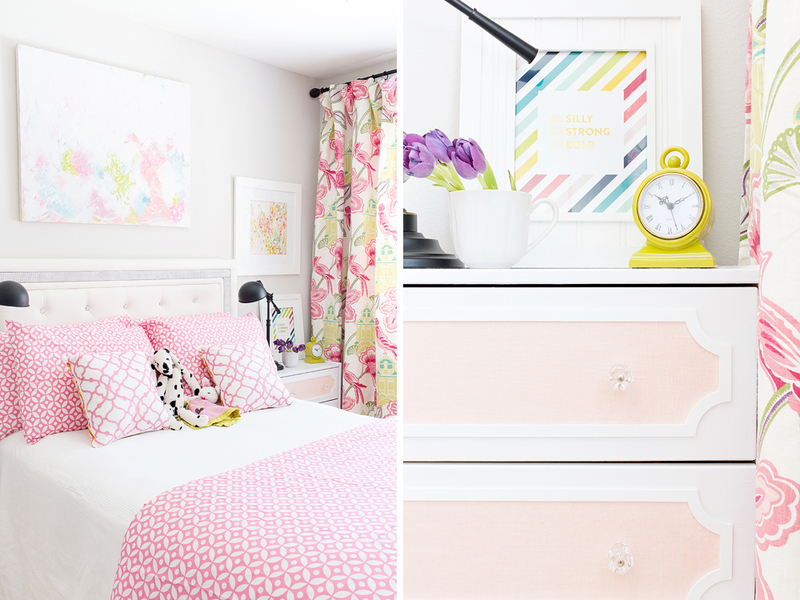 If you're willing to commit to an entire pastel room palette, this Pink Girl's Room Makeover from August Joy Studios is simply perfect. Take out the stuffed animals and add a few more pastel blues and yellows, and I think this design would look great in a guest room too. 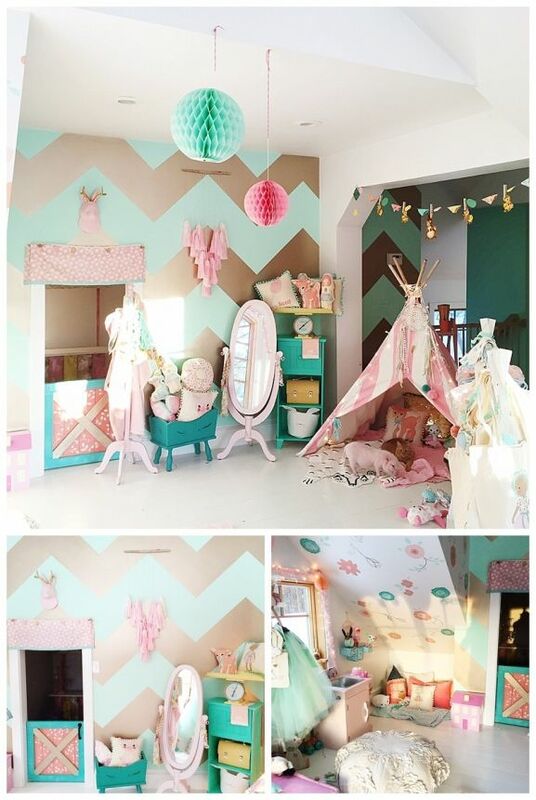 This Show House Girls Room from Young House Love is a more mature take on the pastel palette. And once again, this would work as a guest room and would be a pretty palette for a bathroom too. If all of the other pastel ideas seem like a little too much for you, but you still want to have a touch of pastel somewhere, you can always whip up a Spring Coffee Filter Wreath like The Country Chic Cottage did. Be greeted by a little touch of spring every time you open your front door. 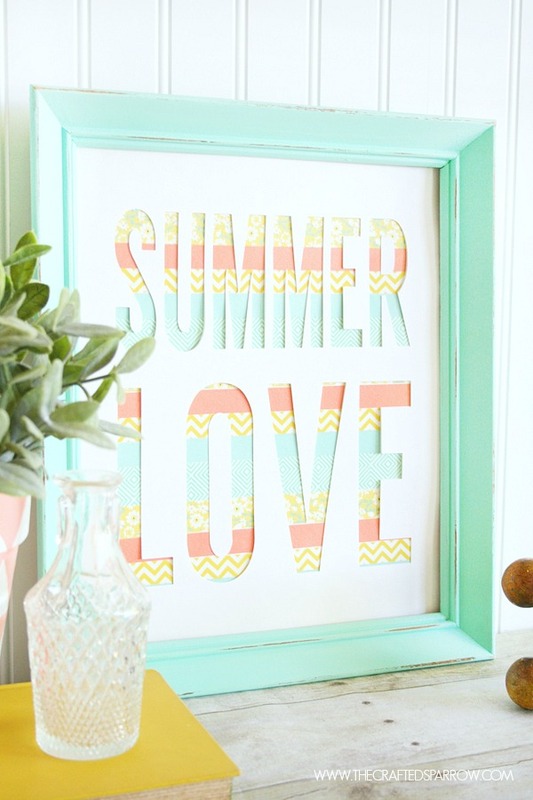 Before you go, make sure you check out 45 other ways to decorate with pastels from Kirsten at Sweet Tea and Saving Grace, Kara at Happy Go Lucky, and Emily at The Benson Street. Oh wow! I love that floral shadow box! So many beautiful ideas! So glad to be working with you! These are all so fantastic...I don't have enough rooms in my house to do all of this Bethany! I sure would like to try though. They are so refreshing! TFS!